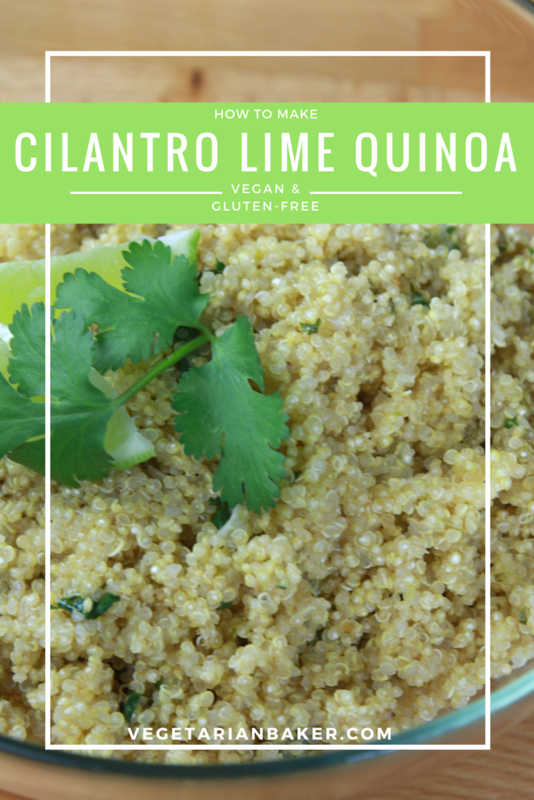 Cilantro Lime Quinoa is a nutritious and delicious dish that will take your salads and burritos to the next level. This vegan, gluten-free recipe is also great alone as a side dish. I was inspired by the Cilantro Lime Rice at Chipotle and wanted to create a healthier version of it. Cilantro is full of antioxidants, lime aids in digestion, and quinoa is a complete plant protein containing all nine of the essential amino acids. If you have recipe you would like to see me make, let me know in the comments below. Let me know of what you think of this recipe on via twitter or instagram (@vegetarianbaker & #thevegetarianbaker). 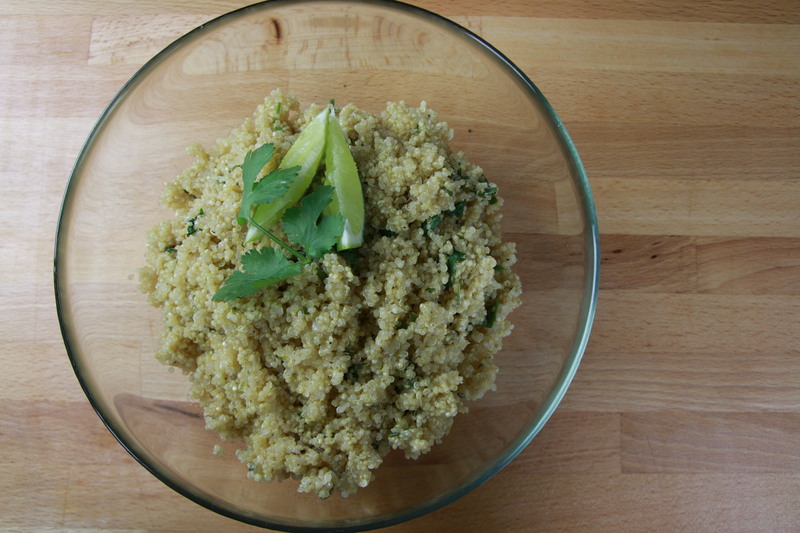 Cilantro Lime Quinoa is a nutritious and delicious dish that will take your salads and burritos to the next level. Rince quinoa of with cool water in a mesh strainer. In a medium sauce pan, place the olive oil, garlic, and rinsed off quinoa. Stir until fragrant. Once fragrant, add water. Bring to a boil and reduce to a simmer. Simmer for 12-15 Minutes. After most of the water has been absorbed, add the lime zest, lime juice, and cilantro. Stir and cover for 5 minutes before serving. Serve as a side dish, on top of a salad, or inside a burrito. Enjoy. 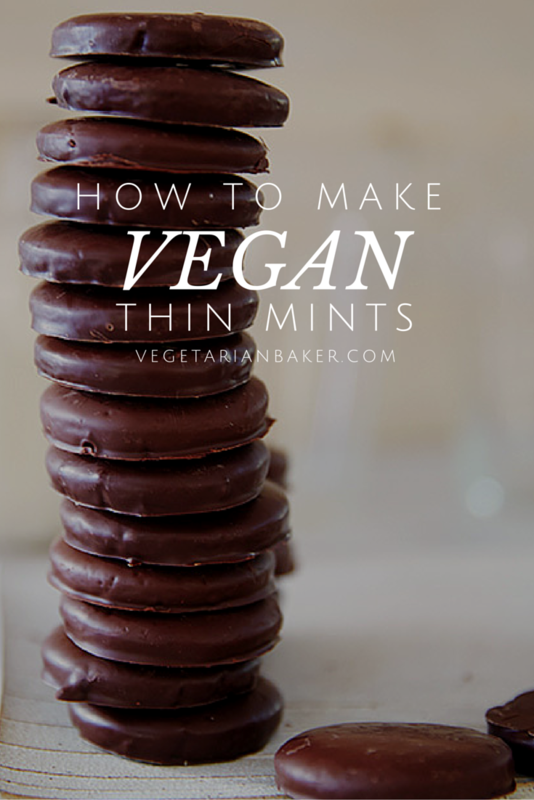 How To Make The Best Vegan Brownies!!! Vegan Pumpkin Oat Cookies! | Only 5 Ingredients!